7 Kids and Us: Baby-BeeHaven! Review and Giveaway! Baby-BeeHaven came up with a great product that takes a normal stroller to a fab comfy stroller! When I first heard of the product I thought "okay its nice but I probably won't use much" because, well, it looks like a cushion which you place on a stroller which normally requires taking apart everything to get it on. I was so wrong. It's a very simple device you simply slip the cushion on the straps come through with ease and you're good to go. Right now I only have an umbrella stroller which we all know is nothing but a fine piece of fabric that holds the child. 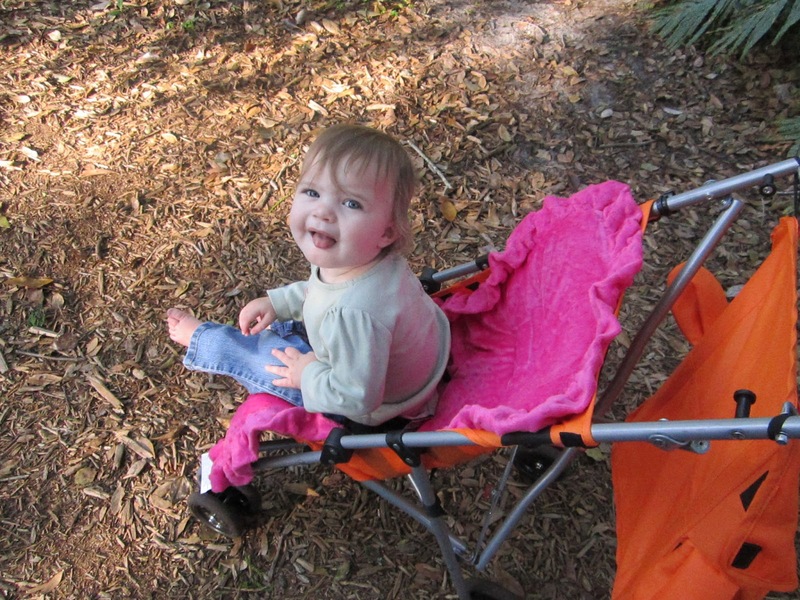 I placed my Cush N Go on it, placed Sarah in it, and she was very content the rest of the day in the stroller. The Cush N Go is very soft and fluffy, it's a mink like blanket cover on the solid cover side and a more cloth like on the print side. I personally loved the mink side so I have Sarah always on this side. The Cush N Go is double sided so you can change out the mood if you wish also worse case if you spill something on it you can flip it for a whole new clean side. The Cush N Go also works great as a emergency changing pad, napping pad, or like my older kids play with a magic carpet. I was very pleased with the Cush N Go I only wish I had known about it with my first child. I would say its one of those must haves like a Bumbo, Boppy and now Cush N Go. You can choose from the pink with cheetah print or the black with bumble bees, both are very cute. Baby Bee Haven also carries other useful products. Baby BeeHaven carries "See n Store" a device which you place between any stroller handles and it holds everything you need for your walk. Swingin' Smart (I wanted to try this one as well ) is an on the go swing cover which fits over most park swings for toddlers keeping them comfy and clean, no more worries about if the last child on the swing was clean with this great product. Last Baby BeeHaven carries the Dream Feeder, this slips over your arm and has a pillow attachment which allows for you to hold baby upright and nurse them. Disclosure: I was given Cush N' Go to help with my review. All opinions are 100% mine. I like the cush-n-go-mattress-pad-boys. Thanks so much for the fantastic giveaway! I like the cush n' go for boys. i love the cush n go for girls! so cute! 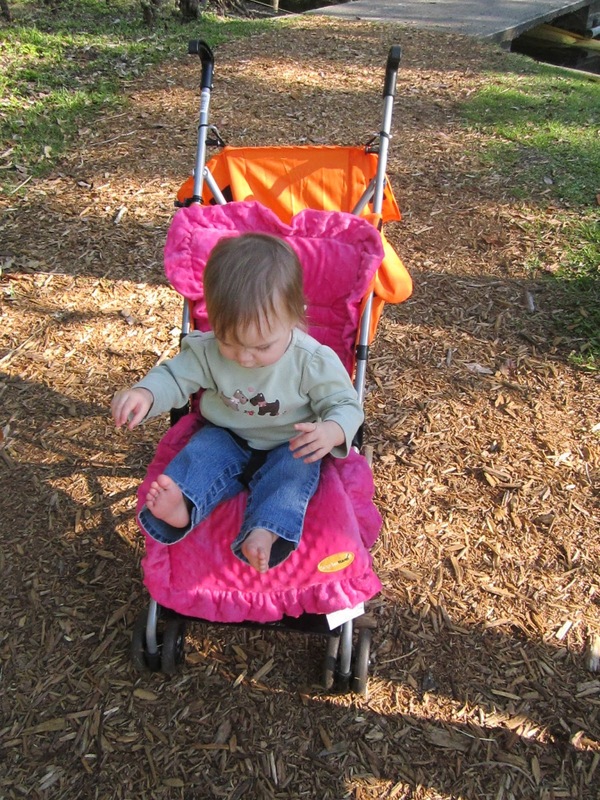 I like the Cush N Go... seems like it is not only comfy, but might keep the stroller from getting so dirty and filled with food crumbs! lol! 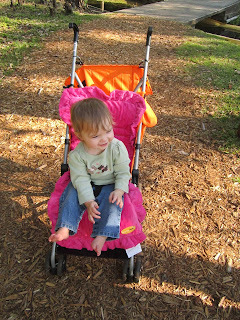 i love the cush n go, it would be great for our umbrella stroller that's not so comfy! I like the Cush N Go! Thanks for hosting! I like the cush n go for boys! Thanks! Cush N Go for boys is my pick!! I like the See 'n Store. I would get a swinging smart, what a great idea! Cush ‘n Go for Boys. I like the Cush 'n Go pads! I like the Cush N GO for boys.